New Edinburgh Park is accessible by bike from downtown Ottawa, and overlooks the Rideau river. 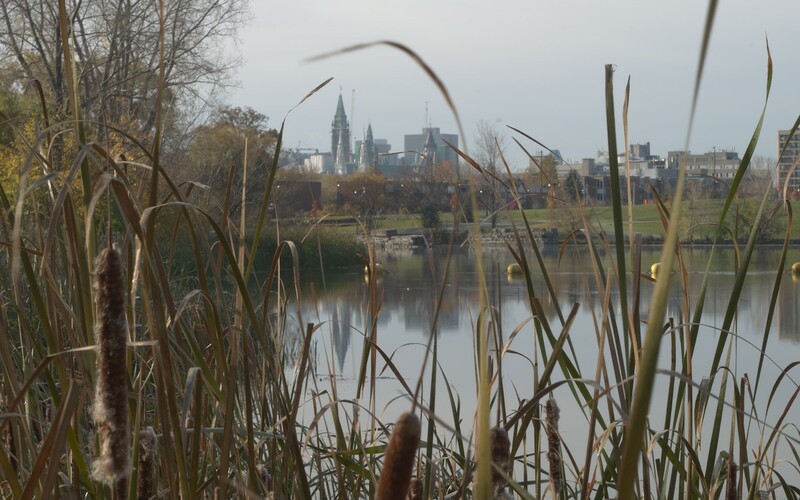 You must get off your bike to traverse the trail, which gives you an opportunity to study the reflections of the opposite shore, or look back at Parliament Hill from a stand of cattails. 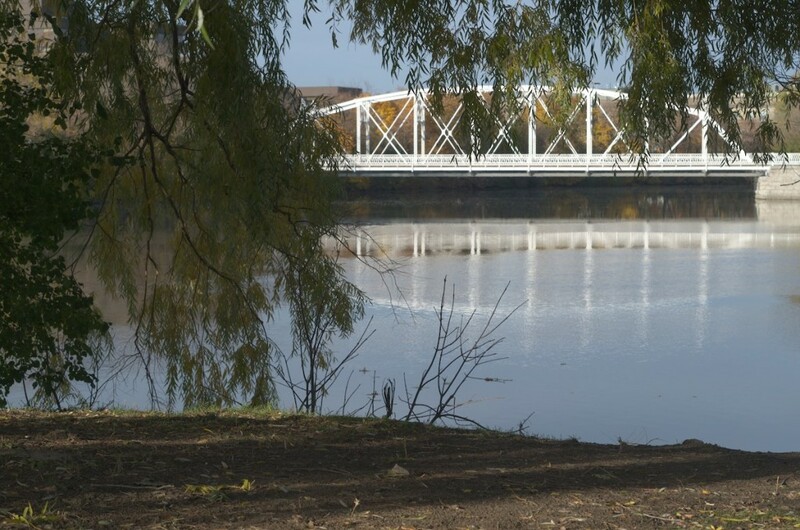 This white bridge carrying Union Street traffic across to Maple Island creates strong reflections. Over a dozen of French Impressionist Claude Monet’s paintings of the bridges at Argenteuil were on display at Canada’s national gallery in fall 2015. A painting of the railway bridge, containing strong white and yellow reflections, provided inspiration for this photograph.